A Year of Being Here: Moya Cannon: "Introductions"
"Introductions" by Moya Cannon, from The Parchment Boat. © Gallery Books, 1998. 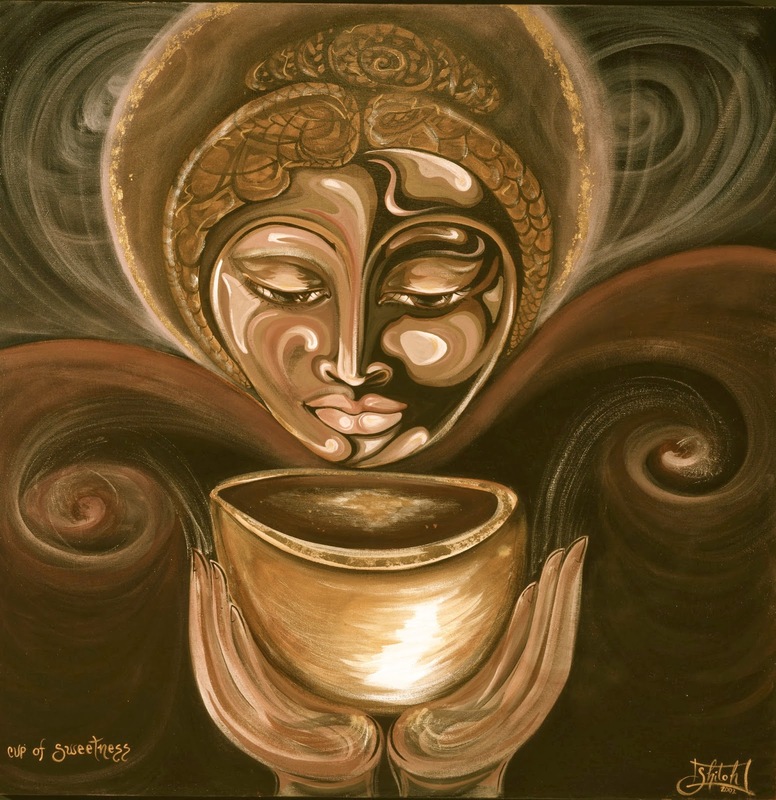 Image credit: "Holding My Stress in a Teacup," painting by Shiloh Sophia McCloud (originally color).